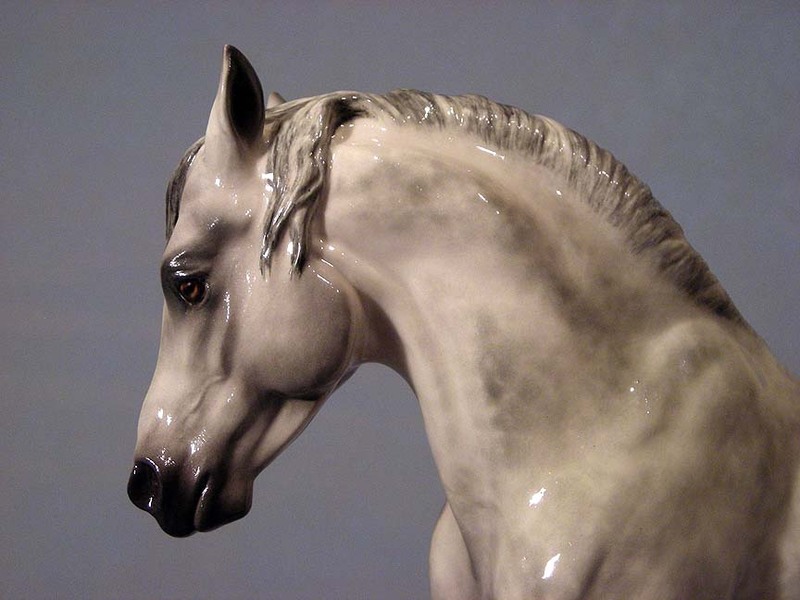 Last spring I was asked to glaze a rare bisque earthenware “Lippett” Morgan sculpted by the late Maureen Love, who sculpted all the horses in the Hagen-Renaker line of chinas, years ago. I just finished it this week. I am not normally at all that slow, especially with commissions, but life sure got in the way of work this year. Fortunately I think I will be at home for the studio this winter. I don’t want to travel ANYwhere until next spring if I can help it! Each time I paint a dapple grey in overglazes I learn something new about how to control the amount and placement of color, and the glaze, and the air-eraser. All at the same time. This one represents my best work yet I think! His owner is Janelle Clemens of California, and I’ll be sorry to see him leave the studio. 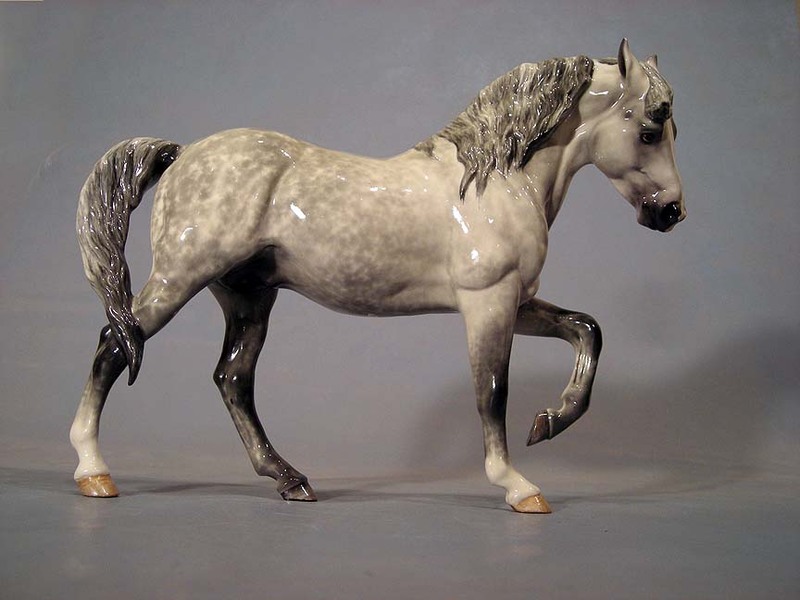 On deck now in Must Complete for glazing is (at long last) the Breyer Porcelain “Gisele” sport horse (will be an appaloosa), and two “Dante’s” sculpted by Sarah Minkiewicz-Breunig and cast in earthenware by Joan Berkwitz. I came home from “Mudhenge” in Boise last month with orders to glaze the Dante’s ASAP, so they are in the top of queue. Only two of them have been released in china so far! They are so TEENSY, it will be a challenge for me since I prefer to work big! Both Dante’s will be for sale on MyAuctionBarn, so watch this blog and/or my Facebook page for the auction listings notice. 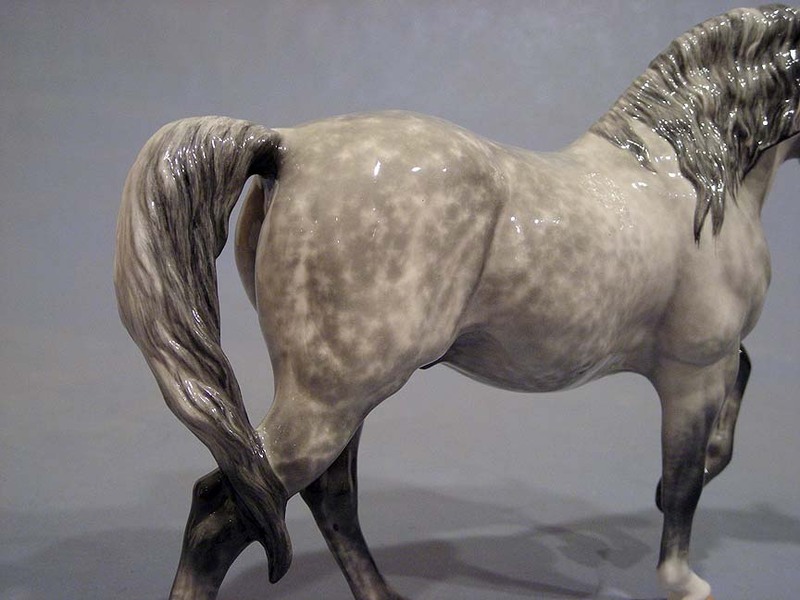 I also want to glaze that big customized china Boreas I made in August, and I have the very first china “Darcy” Morgan sculpture cast by Jenn Scott, which just came in from her this past week. 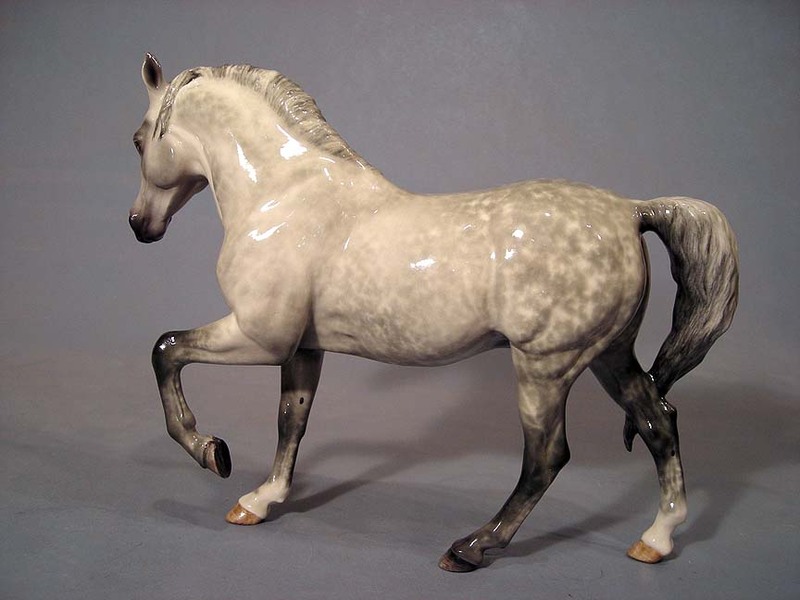 If that wasn’t enough I also have an “Oliver” foal by Sarah that was cast in earthenware by Lesli Kathman, and a “Chicory” pony by Lynn Fraley to glaze! My cup runneth over this winter. I have to make sure my glazing work lives up to all this high quality sculpture work. Lastly, I do have a ceramics mold now for Roundabout, thanks again to Joanie Berkwitz! I have to learn to cast in it, and I have to get the other glazing commitments out of here first. But then I will start on him. Enjoy the fall season. We got snow the last 2 nights and snowboard season is only about a month away!